Want to make a hit movie? Lighten up. That's the advice IMAX Entertainment CEO Greg Foster offered up Tuesday at the Bank of America Merrill Lynch Media, Communications & Entertainment Conference when asked about the recent box office swan dive. The films that worked this summer, like "Guardians of the Galaxy," Foster said, "have a little bit of a twinkle in their eye." Audiences are looking for movies with a mischievous streak, he argued, and "people are getting a little sick of the post-apocalyptic [movies]." Maybe the films were too dour, but whatever the case may be, there weren't enough "Guardians of the Galaxy" last summer. Ticket sales for the period were down about 15% from the previous summer and the domestic box office is running more than 5% behind 2013 for the calendar year. The exhibition industry is not ready to send out distress signals, because 2015, 2016 and even 2017 will see new installments in such venerable franchises as James Bond, The Avengers, Star Wars, Batman and Superman. "2015 in particular is going to pop in a way that we haven't seen for a long, long time," predicted Foster. He also praised the studios for doing a better job of spacing their major releases, noting that "Fast & the Furious 7" will be released in April, for instance, instead of the height of summer when there are a boatload of blockbuster titles debuting. Releasing major films in spring, fall or other seasons has become more commonplace in recent years as studios try to give their premium titles more breathing room. 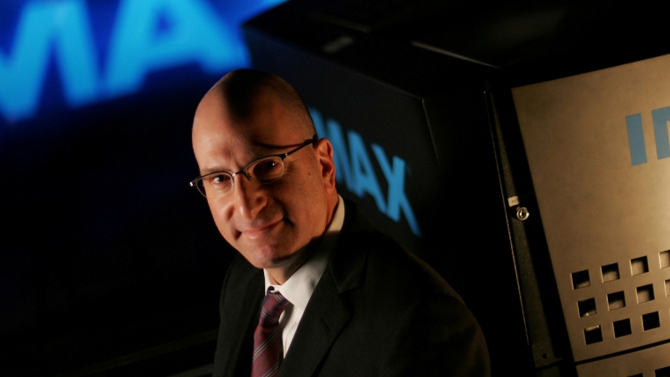 To read more about upcoming IMAX relseases visit Variety.